Calm after the storm - Guest Designer Yolie Burke! 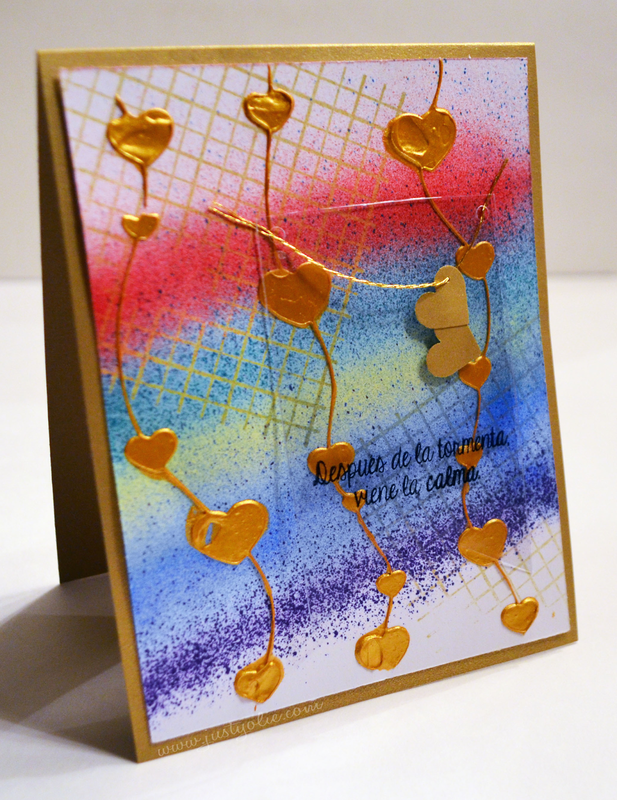 I am so excited to share another great card from Guest Designer, Yolie Burke! This is an incredible card filled with great techniques! 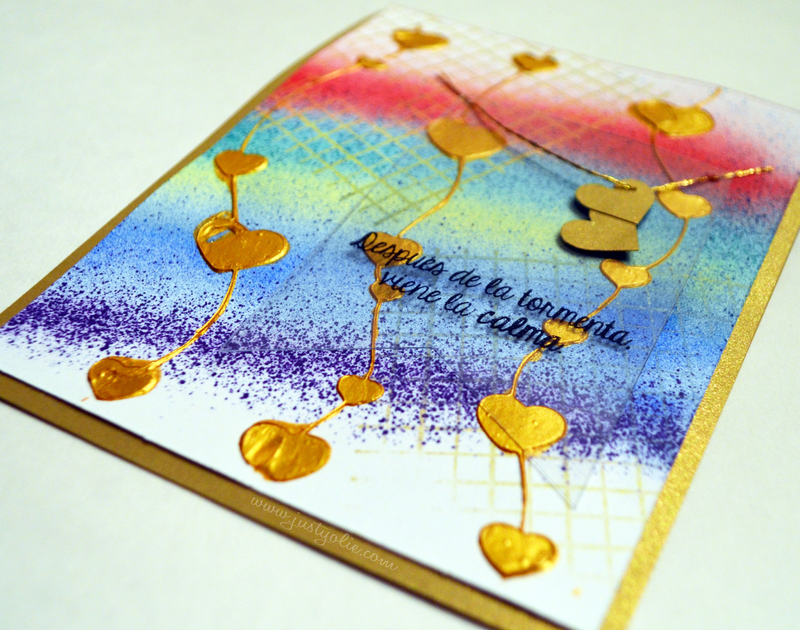 Translation: "There is calm after the storm"
After I eBrushed my rainbow, I inked the grid stamp with gold metallic ink and stenciled the hearts with gold metallic modeling paste. I then cut a piece of acetate to create the banner; stamped the sentiment with StazOn black ink, added a bit of gold twine and adhered it with mini glue dots. The sentiment translates, "There is calm after the storm"
I hope you enjoyed my project today. Thank you for visiting! Such a beautiful card, thank you so much for the inspiration. I need to use my eBrush, the one I got just because of you, you are such an enabler, thanks for share your talent and how to use the products you get! !